The Consumer Electronics Show is always packed with incredible new car technology, and the 2018 show was no exception. It showcased some amazing engineering, proving that AI will soon be a part of our everyday driving experiences. What exciting new car tech from CES 2018 can we expect to be showing up in our vehicles in 2019 and beyond? This year’s CES in Las Vegas had everything for autos from the futuristic to the far-fetched. Here is a rundown of some of the technology for cars that are already here, and that we can look forward to in the near future. Hyundai, BMW, and Ford have already integrated the popular Alexa voice assistant into their vehicles, and Toyota and Lexus aren’t far behind. This means you can chat with Alexa anytime you’re in your car about adding items to your shopping list or making a purchase. On your way home, you can ask Alexa to turn up the heat, turn on your lights, preheat the oven for dinner, or any of the other tasks your Alexa-integrated smart home can perform, just by saying the word. The number of self-driving cars and vans vying for attention gets bigger every year. This year, many were featured at the Las Vegas show, where they shut down Las Vegas Boulevard late one night to test them out. 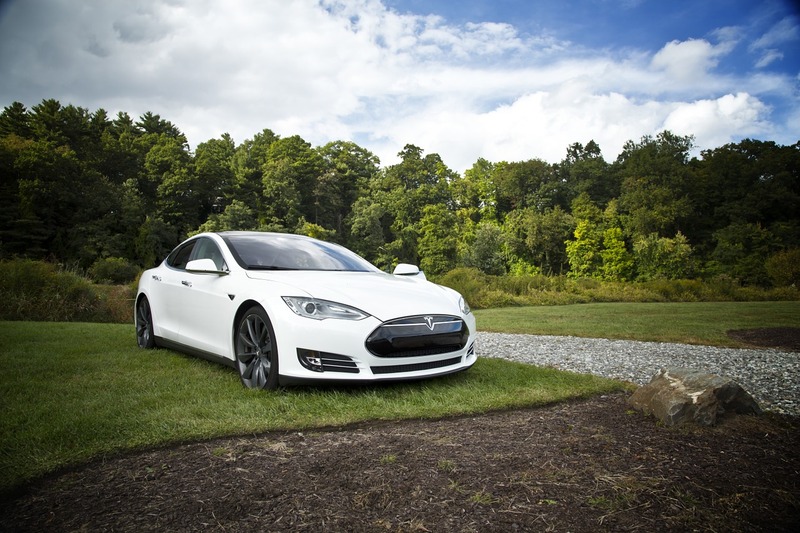 Some brands included Aptiv, Nanya, Toyota, Ford, and Tesla. One Ford Fusion was fully decked out to deliver pizza without a driver — a future foreseen in many of our favourite science fiction movies. Although total self-driving car tech is still a few years away from mainstream acceptance, cars are already doing a few tricks on their own. One of these is parallel parking themselves. Using sensors and cameras, the driver assist feature can take over and pop you into a space you may not have dared take on yourself. Smartphones are now a complete part of our everyday lives, and when we get in our cars is no exception. Several car manufacturers are offering apps that allow drivers to do all kinds of things with their cars. Apps can unlock your car, open your windows, check your tire pressure, see how much fuel you have, and even remotely start your car and turn on the heat on a cold day. Digital readouts that can display different apps running at the same time. These digital displays promise to fully replace analog dashboards and offer a wealth of driving information. Entertainment options are also completely integrated into the digital experience. Get used to cars not only being our personal assistants, but also giving us plenty of pampering while we drive. Many luxury brands already offer climate controlled and massaging front seats. This year, Mercedes has unveiled the Energizing Comfort System, which combines driver’s seat technology with aromatherapy, audio, and lighting. These can be programmed to be either relaxing or invigorating. When teens hit the road in the future, parents will have total peace of mind. That’s because cars can now have top speed settings, low fuel warnings, do not disturb settings to stop cell phone distractions, and geographic parameters that keep your teen from restricted areas. Parents can even control what kind of entertainment their teen enjoys on the road, and filter out explicit content from streaming services. This is an innovation we can expect to become a standard feature in cars very soon, due to its ultimate convenience factor. Just place your phone or device anywhere in the console, and it will charge while you are driving. This means you won’t have a bunch of unsightly wires hanging out of USB ports. Plus, it’s perfect for when there are multiple people in the vehicle in need of a charge. In-vehicle bio-metrics will soon become commonplace. Gentex Corp. has developed an iris scanner that is placed in the rear view mirror to identify the driver. This adds an extra layer of security, as the car won’t start if you are not a recognized driver. Once you’ve been identified, the vehicle will not only start, it will adjust itself to your personal driver’s seat settings, mirrors, climate control, and other preferences. In the future, it may allow you to pay for tolls, parking fees, and gas. Ford has introduced plans for technology that will keep tabs on our vital signs while we are driving. Imagine sensors attached to our steering wheel and seat belt that can track and monitor our statistics. Once cars have autonomous technology, it is possible that a car could safely pull over to the side of the road and call an ambulance if it sensed the driver was having a heart attack. You heard that right, our cars may soon be scanning our brains. Nissan has developed something they call B2V, or Brain to Vehicle technology. A headband device detects your brain activity and gets the car prepared for any action you might be about to take. Although this technology is not anywhere near being available yet, it promises to make driving even more safe and enjoyable. If you want to talk the latest in-car tech, give JD Collision a call anytime! We’re not just your favourite auto body specialists, we’re here to help you figure out your best options for your truck or SUV.